Our pooled bar platinum offer allows you to purchase in quantities of 1/2 ounce units. Using a pooled bar facility is one of the easiest ways to start getting your money outside of the banking system and into physical precious metals assets that help to keep your money and wealth safe. For platinum the smallest amount you can normally invest in is 1oz coins, however, with this pooled platinum allocated investment you are able to buy platinum in smaller and more financially reachable quantities we refer to as lots. To find the list of precious metals we currently offer, go to our main products page for all metal types. 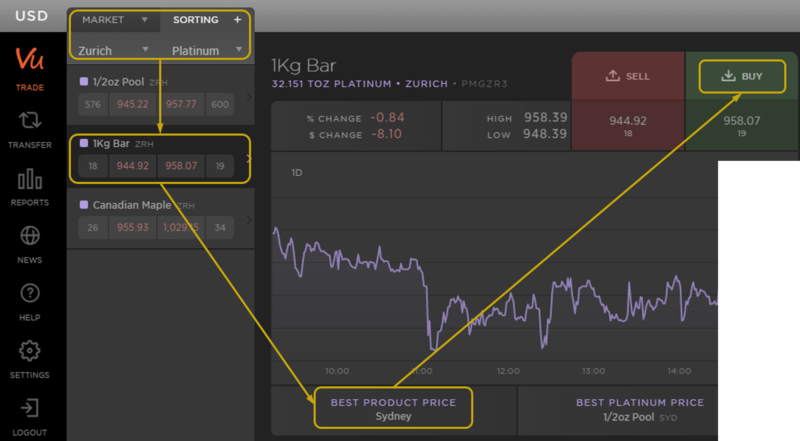 What is a Pooled Platinum Bar? 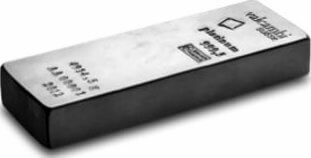 A pooled platinum bar usually means that a large bar of platinum has been divided up into smaller units (lots) without physically breaking it up. This system of investing into platinum offer investors a way to to buy into a whole physical platinum bar a lower cash amount by sharing the ownership with other investors, by way of lots. This means that more than 1 investor can be invested into each bar, with each lot contributing to the total cost of the bar. These whole bars are pre-supplied by the market’s liquidity providers, so they already fully exist before any initial investment is made. This means that each 1/2 ounce lot is fully allocated with physical platinum. Liquidity providers put all and any sized bars of platinum that they have lying around in their refinery into our market vaults. Think of them as 'knick-knacks' that other bullion providers aren't so interested in. All of what is added into the exchange's vaults must meet the minimum purity levels for this contract. The amount of physical platinum knick-knacks stored in our vaults always matches the quantity that investors have purchased. Once an investor has accrued 200 troy ounces and they want to take delivery of their holding, then a liquidity provider will swap out the 200oz worth of random knick-knack bars and replace it and deliver to you a single 200 ounce platinum bar. This allows our pooled platinum offer to be the cheapest platinum investment you can get, because we are initially seeding the pooled contract with high quality low demand items, which means they have the lowest premiums attached to them. And all this is done whilst ensuring that all client holdings always absolutely fully allocated. Buying into a pooled bar of smaller sized units in no way diminishes the fact that the 1/2 ounce lot of platinum bullion is still your private property and is 100% fully allocated. This is just a simple way to help people achieve a safe and cost-effective way of buying into physical platinum bullion and having the additional bonus of having it vaulted overseas, safe from potential risks inside their own country. All of our deliverable platinum bars are cast and weigh 200 troy ounces each. They are all refined and produced to be at a minimum fineness of 999.5 (99.95% purity). To ensure our 1/2 oz pooled platinum offers you the best quality, we source them from LBMA refiners that supply the massive global institutional wholesale precious metals network formed by the Allocated Bullion Exchange (ABX). By doing this we are able to guarantee you the quality of the platinum making up the pooled contract which you are able to buy at the lowest price premiums and the smallest price spreads in the industry. The ABX sources its platinum from several different refineries around the world directly supplying the markets to ensure the greatest possible level of liquidity. The full list of liquidity providers can be found in Appendix A of our precious metals brochure. They are also privately vaulted for you as part of the global ABX storage network. These are the physical contract specifications for the pooled platinum bar 1/2 ounce contracts. We have explained each part of the contract for anyone that is unfamiliar with any section or terminology. Description 1/2 fine ounce platinum Pooled contract, consisting of platinum cast bars of minimum fineness of 999.5, and bearing a serial number and identifying stamp of a refiner as per Appendix A* Good Delivery Refiners. * Our bullion catalogue has a full list of physical contract specifications that cover all of our globally traded physical precious metals products and Appendix A showing the Good Delivery refiners. We have pooled platinum bars available at 8 of our 9 worldwide precious metals markets and at any one time each of them will display slightly different prices. So how do you find the cheapest one? I'd be surprised if you have. How much easier can it be to find and select the best platinum offer worldwide? To start your precious metals investing with 1/2oz lots of physical platinum at a time, simply open a holding with GoldVu and begin moving your funds outside the banking system.